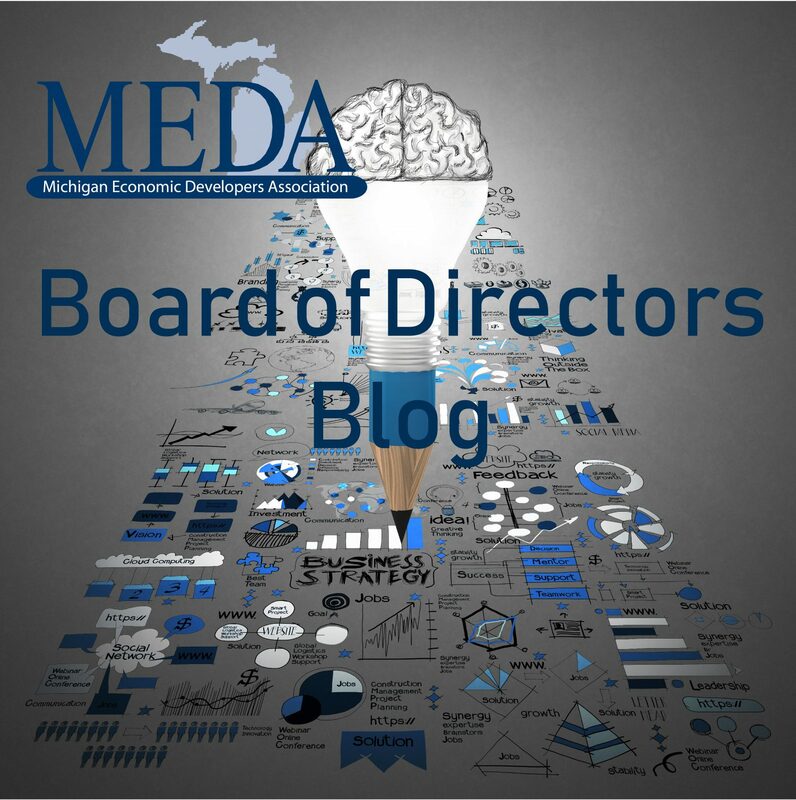 Energy Opportunities in Michigan | Best practices in economic development from experienced leaders. Every so often, there is a change in government policy that creates opportunities for jobs and new investment in our communities. One of our roles in economic development is to help our local government leaders learn about these opportunities and educate themselves as much as possible to make informed decisions. We have one such opportunity in front of us today. The state of Michigan established a Renewable Portfolio Standard (RPS), requiring that the state’s 84 electric providers in Michigan secure 10% of their energy from renewable sources by 2015. In 2016, the State of Michigan increased its renewable portfolio standards to 15% by 2021. In addition, last month, Consumers Energy announced it had filed a plan with the MPSC that outlined a path to using zero coal, while ensuring affordable and reliable energy for Michigan families and businesses. Under the plan, the company would increase renewable energy from 11% today to 37% by 2030. The company has a goal of reducing its carbon emissions and eliminating the use of coal to generate electricity by 2040. The company proposes to add 550 MW of wind to help them reach Michigan’s goal of 15% by 2021. They also expect to add 5,000 MW of solar energy with ramp-up throughout the 2020’s. DTE Energy is also planning to reduce its carbon footprint and incorporate substantially more renewable and cleaner sources of energy into its generation mix. In 2017, DTE announced a broad sustainability initiative to reduce the company’s carbon emissions by more than 80 percent while continuing to provide reliable and affordable power to its 2.2 million customers. DTE will achieve this reduction by incorporating substantially more renewable energy, eliminating coal, using low emission natural gas, continuing to operate its zero-emission Fermi 2 nuclear power plant, and improving options for customers to save energy and reduce bills. Recently, DTE filed plans to double its renewable energy capacity by 2022, adding another 1,000 MW of wind and solar and driving investment of more than $1.7 billion in Michigan’s energy sector. What can we do to help our communities become prepared for renewable energy? During the initial RPS period, a majority of wind-generated projects were developed in areas such as Michigan’s Thumb and Gratiot County among others. With the increase in the RPS and the recently released goals of our largest utilities, we anticipate that there may be an opportunity for additional wind and solar projects. In our area, developers are already contacting landowners to secure sites for solar and wind projects. Local government officials are considering amendments to their master plans to address renewable energy production. They are also looking at developing zoning ordinances that align with the community’s plan for renewable energy production. As economic developers, we may want to assist our local government officials by providing educational opportunities related to solar and wind energy. MSU Extension recently provided an excellent workshop called, “Shining a Light on Agricultural Solar Energy Development”, which provided great information for property owners considering solar development. Collaborating with MSU Extension and local government associations to develop a similar workshop on wind energy would be of great benefit to our local government officials trying to address these opportunities and challenges; some for the first time. Potential topics could include an overview of the industry and siting wind turbines and their operational characteristics. You may also want to invite an official from one of the Thumb or Gratiot Communities to share their experience with wind development. As the local economic developer, you may want to prepare an economic impact analysis to show the property tax increase provided by a wind energy project. At the end of the day, it is a local government decision and our role is to ensure that these public officials are able to make well-informed decisions for the economic betterment of their communities. Authored by: JoAnn Crary, CEcD, President, Saginaw Future, Inc. JoAnn is a long-time member of MEDA and our 2018 Committee Chair. NOTE: For more information on the webinars mentioned, you can contact M. Charles Gould, Agricultural Bioenergy and Energy Conservation Educator, Michigan State University Extension, PH: 616-994-4547, gouldm@anr.msu.edu.